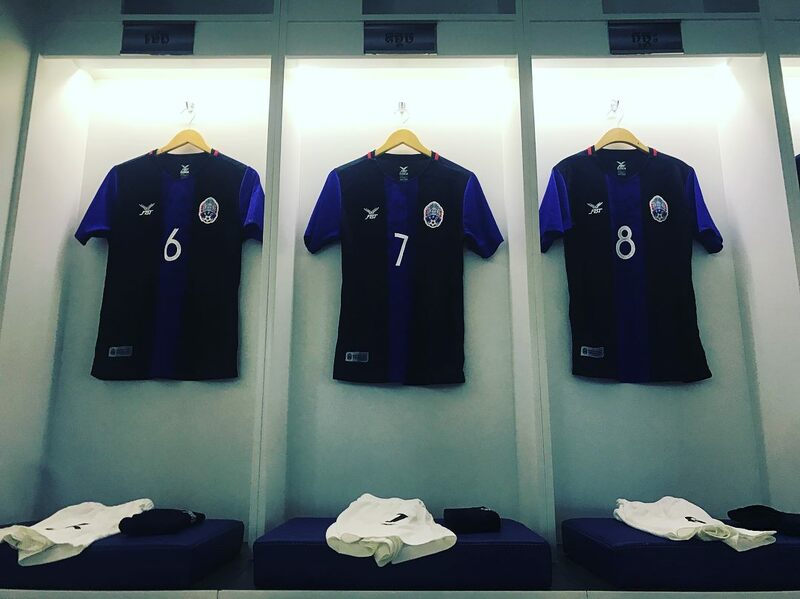 Now managed by former Japan, AC Milan and CSKA Moscow attacker Keisuke Honda, Cambodia debuted their 2018/19 home kit during Monday’s 1-3 home loss against Malaysia. 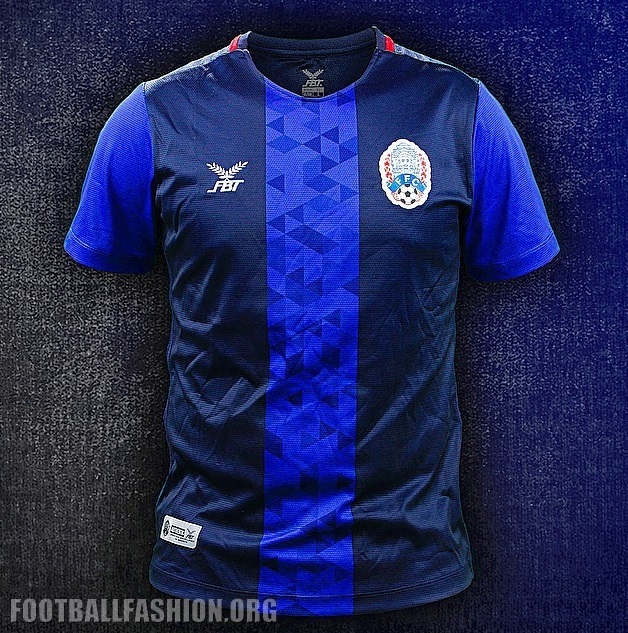 Furnished by Football Federation of Cambodia (FFC) technical partner FBT, the former Asian Cup fourth placed finishers new primary jersey uses the blue of the country’s national flag as its main color. The red of the flag accents the shirt’s rounded neckline. The sleeves and a mid-frontal stripe containing a series of triangles are in a light shade of blue that the rest of the kit’s front. 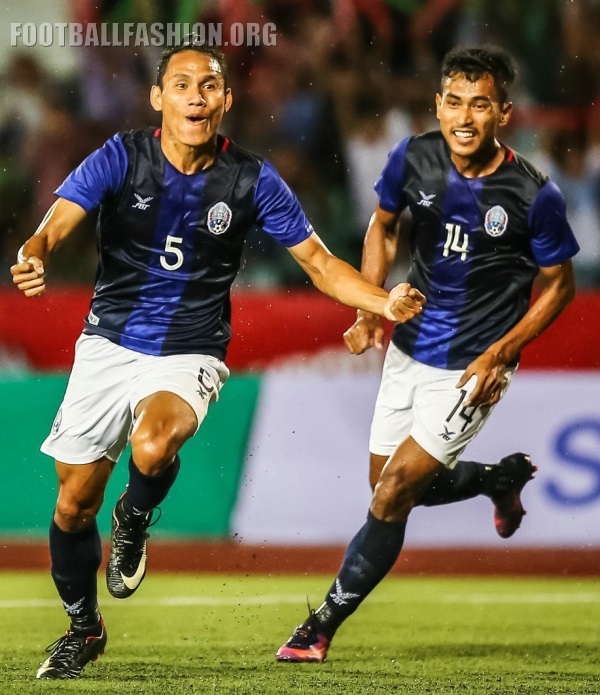 The Cambodia national flag is printed on its signoff area while “Kampuchea” (Khmer for Cambodia) and “Kouprey” (the Cambodian men’s national football team’s nickname) are printed on the outer sleeve cuffs. 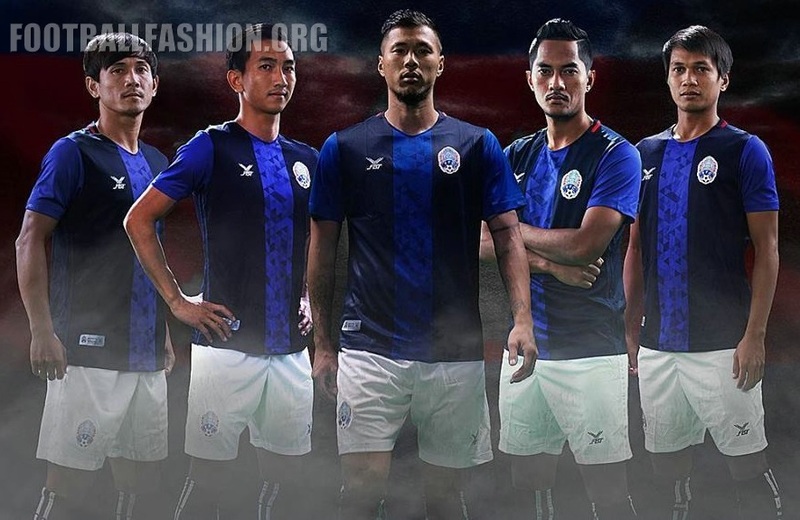 The Cambodia 2018/19 FBT home unifrom is completed with white shorts and blue socks. Check out Latest Kits section for more of the newest soccer jerseys around today.